Instead of £432.00. You save £21.60 due to the online discount . 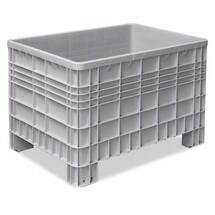 A folding box with lid allows you to store and transport products, work items and packaged goods while protecting them from dust. 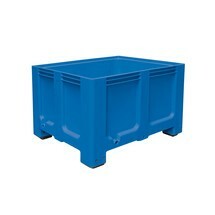 When not in use, the large containers can be collapsed for efficient, space-saving storage. 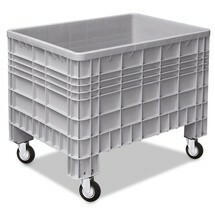 If you are looking for a space-saving solution for your transport tasks, a plastic folding box is the ideal product for you. 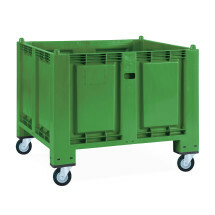 In assembled state, it provides dust-protected space for transporting or storing products, work items or packaged goods. 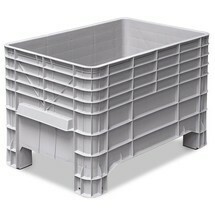 The folding containers are highly robust, stackable and very easy to assemble or collapse. 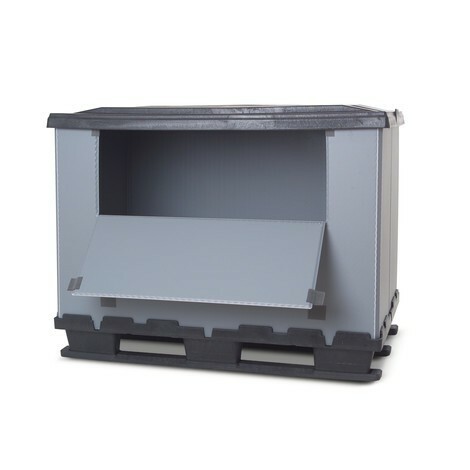 When not in use, you can simply collapse the box to save up to 80% storage space. 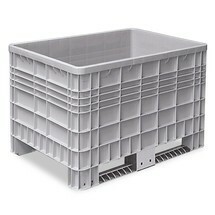 The folding boxes are also heat-resistant up to +60°C and cold-resistant down to -30°C, meaning that you can also use them in cold stores. 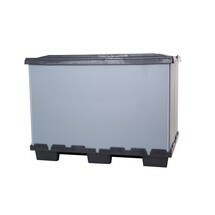 The plastic material of the boxes is resistant to most acids and alkalis. 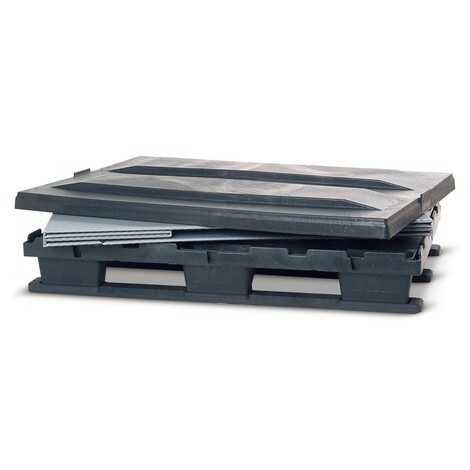 You can opt for a folding box with a lid and additional loading flap, with the latter ensuring easy access to the contents. 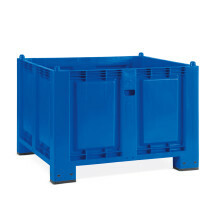 The folding box with skids is a practical packaging solution for all common logistics formats. Order them in your desired configuration from our shop.